The NetBeans Community Docs program is a great source of community-authored content about using the NetBeans IDE. Now the team behind the program wants your feedback to help make the program even better. What type of content do you like? Do you want more tech tips or prefer multimedia material? Take the survey and let the team know! Well, this is an important news item for the NetBeans Community, thus it was necessary to let the community know about it on large scale. Kristian Rink, NBCD Coordinator and its Evangelist setup the survey that contains almost every question, our team wants the community to answer. Ever wondered, apart from extending the NetBeans IDE, or some application based on NetBeans Platform. What else can be done with the module? This is what you see when you expand the Project node in Files View. We will focus on platform.properties, project.xml. If you switch to the Project View, you would see the files with following names, visible under Important Files node. This is the logical view of the file project.xml. There’s one more useful tips and Tricks (contributed), that’s based on this file, which lets you add your module as friends to those modules, if you want your module to depend on the specification version of the same. 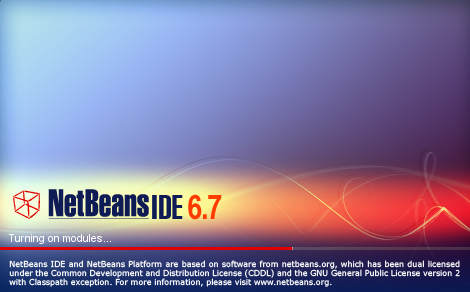 I will be making use of NetBeans 6.7 IDE. Although, these tricks should work well with NetBeans 6.x IDE. So, lets answer the question I asked in the beginning.. Generally, when you create Module project, you get an option to either create it as Standalone Module or Add to Module Suite. When you choose this option, you also get an option to select NetBeans Platform of your choice, along with Manage.. button. If you want to know more about that, refer this contribution. This would enable the running IDE to achieve the desired result, as mentioned above. 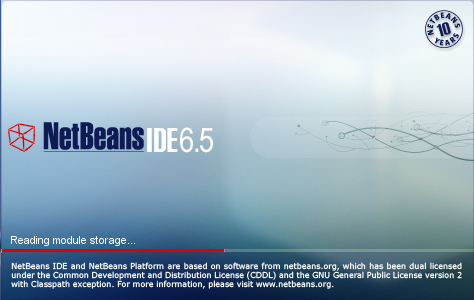 Now, running the module will ofcourse launch NetBeans 6.5 IDE as Target Instance to see how your module works. This process might be slow, as you’re running full-fledged 6.5 IDE. 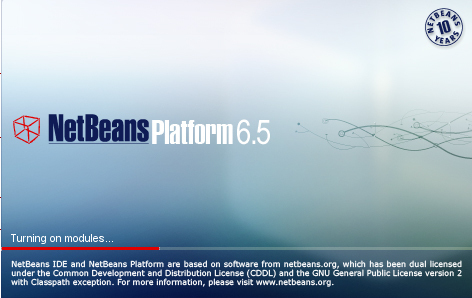 These clusters are bare-minimum essentials, that are enabled by default when you create the NetBeans Platform Application project using 6.5/6.7 IDE. The property enabled.clusters helps to enable only those clusters which are necessary to run this module. Note the bold-faced tag <standalone />, this tells the NetBeans IDE that your module is not part of any module suite. Its a standalone module, as you created. If you decide to go with this option, you would then browse the filesystem to find the appropriate Module Suite project and then, move ahead. In case of Module Suite projects, the enabled.clusters property automatically occurs/disappears, when you check/uncheck the modules and/or clusters from its Project Properties Wizard. Note the bold-faced tag <suite-component/>, this tells that NetBeans IDE that this module is part of a Module Suite project. You may convert your standalone module to become part of suite, or vice-versa. Just add/remove suite-private.properties (Per Suite Locator) file and tweak your Module’s project.xml and Module Suite’s project.properties. Also, note that some changes have taken place in NetBeans 6.7 IDE, you may find out more over the web. 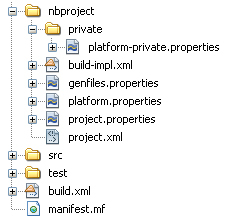 One more thing, NetBeans 6.5 IDE added suite.properties file under /nbproject and had same tag as <suite-component/>. I think NetBeans 6.0 and 6.1 might do the same. Please try it yourself and let me know. This is the first time, I thought of filing an issue for NetBeans Community Docs Program as I have never ever thought there would be a need for it, in the past 2 years. Generally, no one has ever done that, AFAIK. I have been an active contributor to NetBeans Community Docs Program and managed it as coordinator for the duration of 11 months (May ’08 – Mar ’09). However, I feel there’s lack of coverage of the resources, that are gathered and arranged in the form of several wikis interrelated with each other in a systematic way. Through this issue, I would like to see increased presence of NetBeans Community Docs in the NetBeans Community. I have some ideas which I would like to put forward, but first I want to see interest from your side (Community Members and NetBeans Team). You’re welcome to add your comments/suggestions or even vote for this issue. See the following for latest updates. Kristian Rink has setup a user survey. Please go and fill up the forms. We need your feedback, so that we can be in better position to decide the future of this program. Kristian Rink has written a post discussing the future of the program and what does the community think about it? I feel you must go through it once. There are over 300 docs, right? When we reached 250 docs, I realized that there was findability issue. If I need a tutorial on how to make use of some feature, which is documented only by a community member and not by Sun writers. Then, user has to put some effort to locate that. Even I had that problem. This contains a matrix which has necessary pointers to tackle the issue. Now, coming to the point of concern, i.e. the NetBeans Community Website doesn’t feature pointers to these wikis. As you might know that currently there’s only one pointer to the Community Docs Contributions list from relevant Learning Trails. Its better to have single Learning Trails page to focus on the above issue, rather than maintaining small sections on every Learning Trail and maintaining the above webpage. It will also ease the work spent by NB Team on such maintenance. Also, the proposed Learning Trail can also be pointed from User FAQs, Developer FAQs, etc. If someone is unable to find necessary info in these FAQs, then he/she may navigate to the trail to learn how to find out community contributed docs for their requirement. This should be good enough to make our presence felt in the community, as this Learning Trails would feature in Docs & Support page. I have been on and off this blog in the first quarter of this year. However, I think I will have more time in one month’s time as I would get more time to spend on NetBeans and share with you my learning’s. I was shocked to see a company like Sun getting acquired. You all know by now that Oracle is buying Sun and everybody is curious to know about the future of NetBeans and I am no different. Looking forward to see, how this “amazing product of the community” evolves. Lets congrats James, Tom and Fabrizio! Well, it is actually the first time that I knew each and every nominee, because they are in the NetBeans Dream Team since July 2008. I was eagerly waiting for the results to come and when the results were out. It was indeed a pleasant surprise. I saw it first on Planet NetBeans and saw JamesBranam’s Blog announcing the results. I was indeed deceived momentarily, but then I was glad to see James Branam being appointed as the representative from Sun Microsystems. As per the latest news item , Tom Wheeler scored a hat-trick , Fabrizio Giudici got elected for the first time . I am honored to have got special blog entries from James and Fabrizio in the past. Congratulations to James, Tom and Fabrizio!